Set a medium pot, filled with two inches of lightly salted water with a teaspoon of white vinegar (optional) to boil on the stove. Crack the eggs into a bowl, taking care to keep yolks intact, set aside. Cut the avocado in half, remove the seed and scoop out the flesh into a small bowl. Add 1 teaspoon zest, the juice from half a lemon, 2 teaspoons oil, salt and pepper and stir and mash with a fork to combine. It does not need to be smooth. Adjust salt, you want this to be slightly salty and lemony. Toast the bread. Once the water is boiling turn heat down so it’s just simmering. Give a stir, and slip the eggs into the simmering water, gently stirring in a circular motion around the eggs. Cook for 2-3 minutes or until egg white is set. Turn heat off. 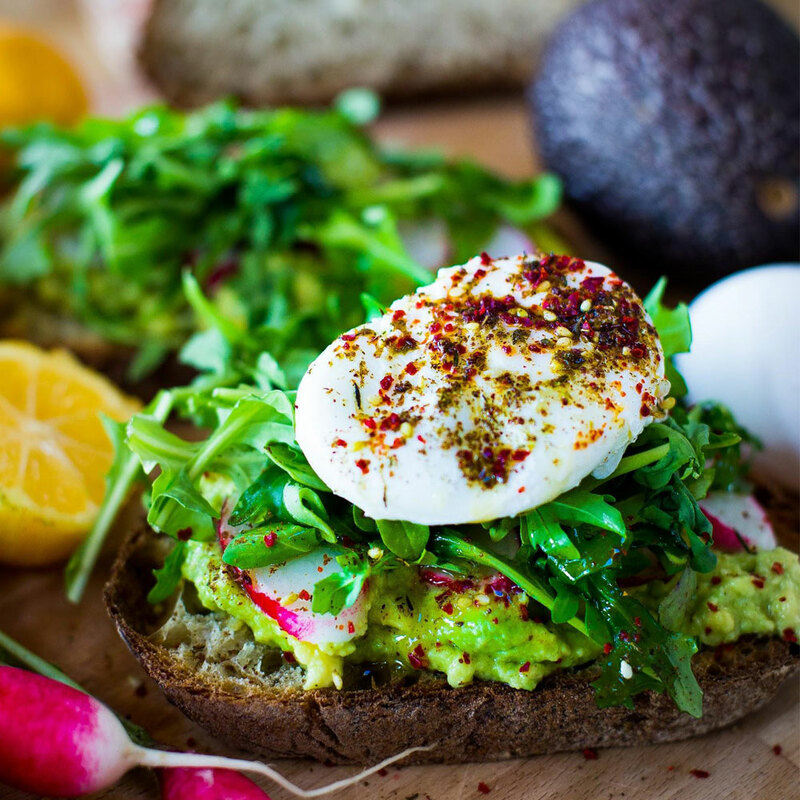 Spread ½ of the avocado mixture on the toast. Top with a mound of baby arugula. Drizzle with olive oil, a little lemon, and salt. Using a slotted spoon place the poached egg over the dressed arugula. Sprinkle the egg with salt, pepper and a generous pinch of Zaatar spice and enjoy!.